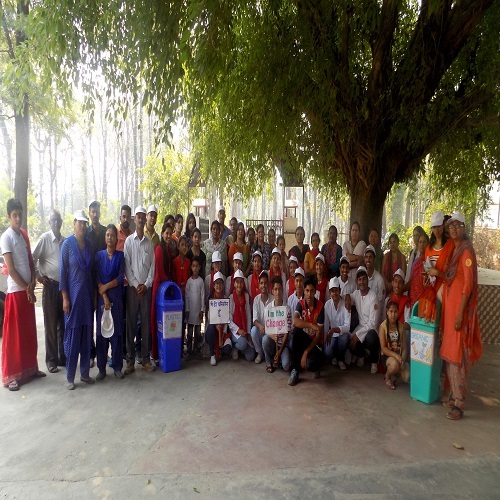 The Indian Academy had organized a cleanliness drive under Swachta Pakwada from 1st September to 15th September. 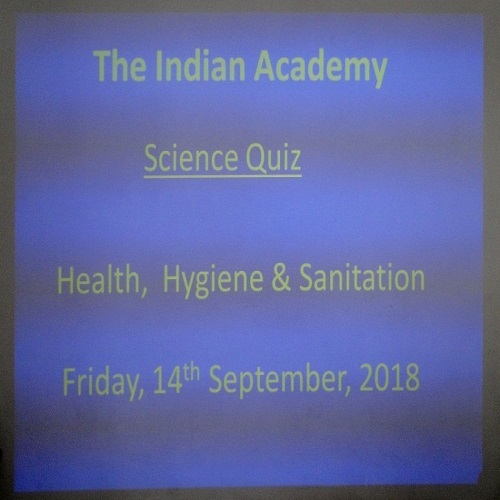 The objective of the programme was to create awareness among the students and teachers regarding the benefits of good health, hygiene and sanitation. 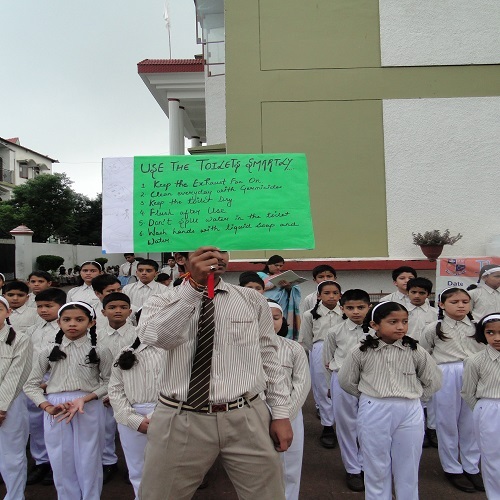 All the students from classes 6 to 12 participated and the teachers too were an essential part of this drive. 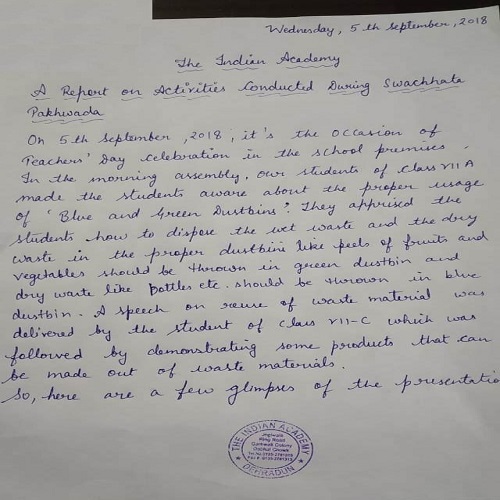 The students and the teachers of The Indian Academy took a pledge to keep their surroundings clean and wholeheartedly be a part of this drive for next 15 days. 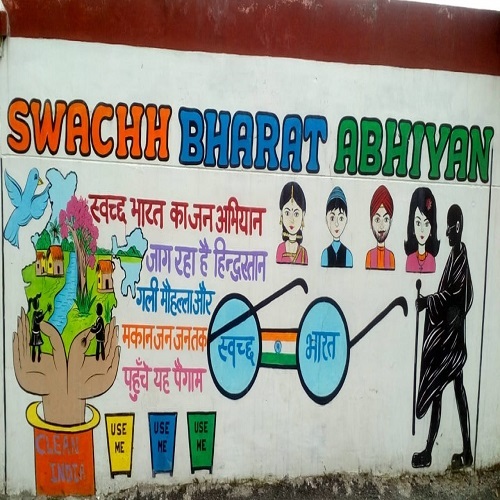 The messages on awareness of Swachta written by the students of class 12 were emailed to CBSE. 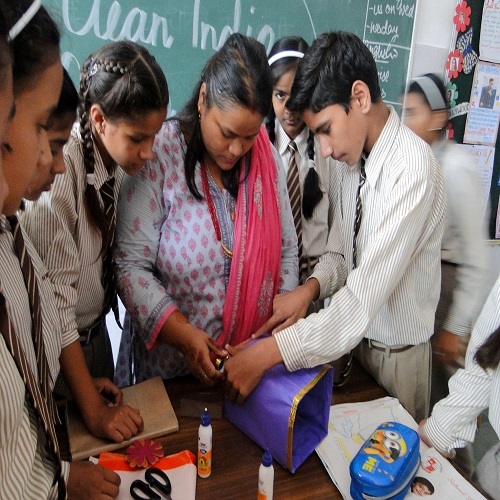 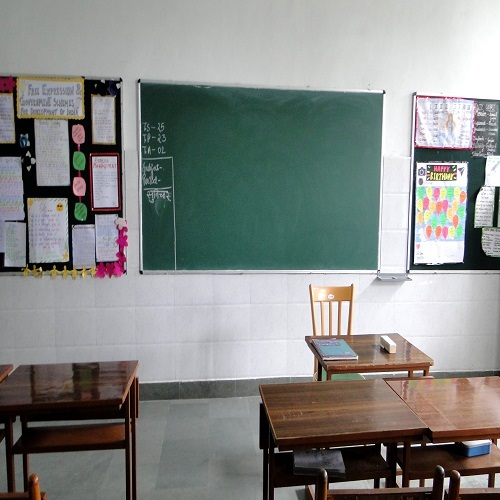 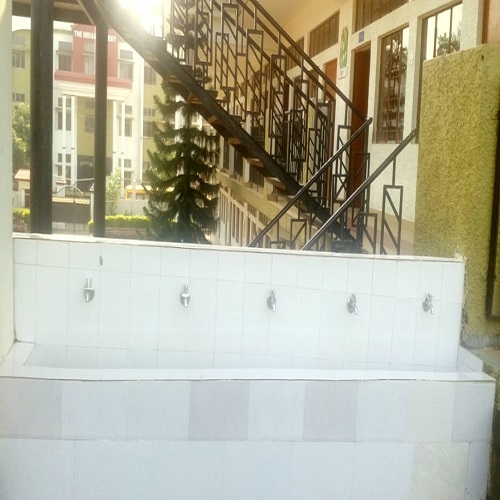 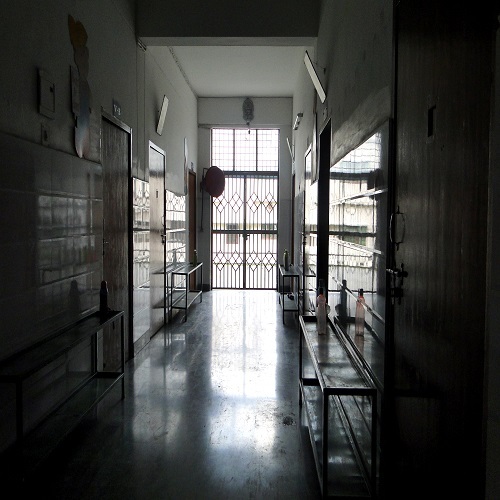 A panel of teachers inspected the sanitary facilities of various areas of the school like washrooms, corridors, classrooms, playground, labs etc. 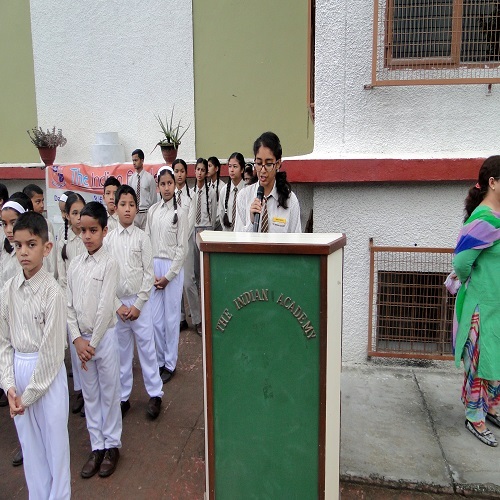 A notice highlighting the importance of cleanliness and sanitation was issued to the parents. 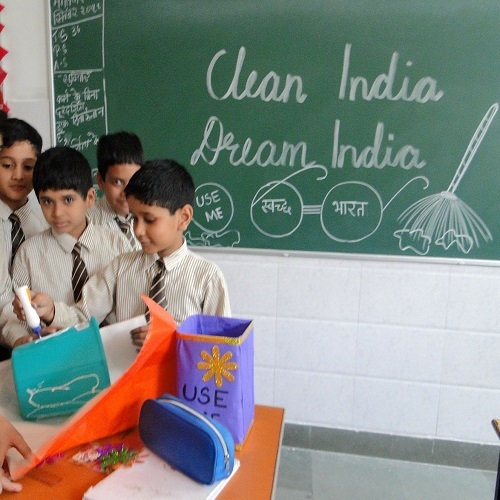 The students of class 7 demonstrated the uses of ‘Blue & Green’ dustbins. 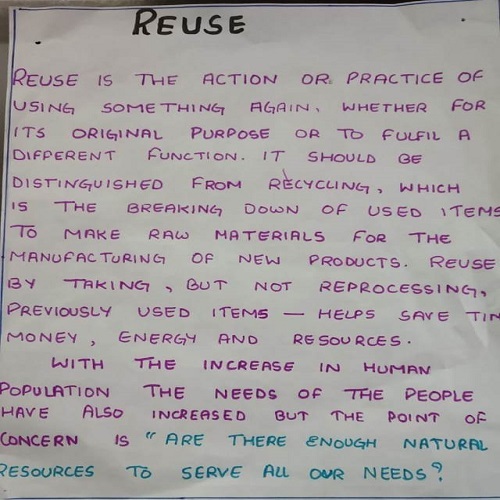 A speech was delivered by a student of class 7 on the reuse of waste material followed by a demonstration of things made out of waste. 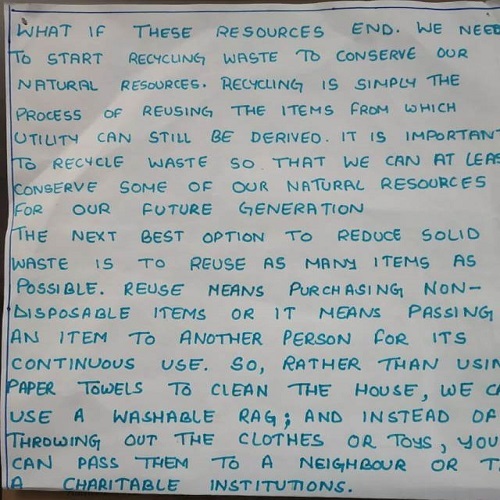 Later, the material of the school items was considered for reuse if any and the rest was dumped scientifically. 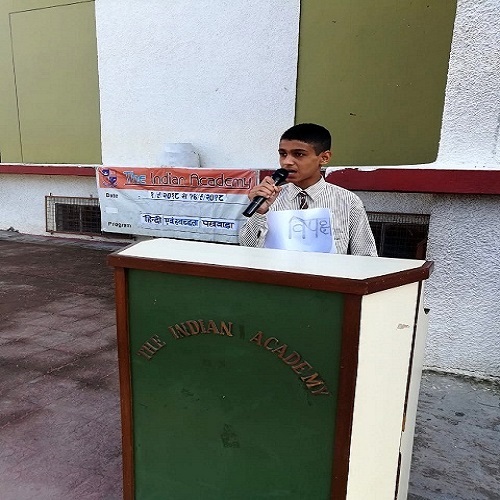 A Hindi debate on ‘Samaaj ka Vikas Swachhata par nirbhar Karta hai’ was organized and the audience was captivated by their splendid opinions for and against the topic. 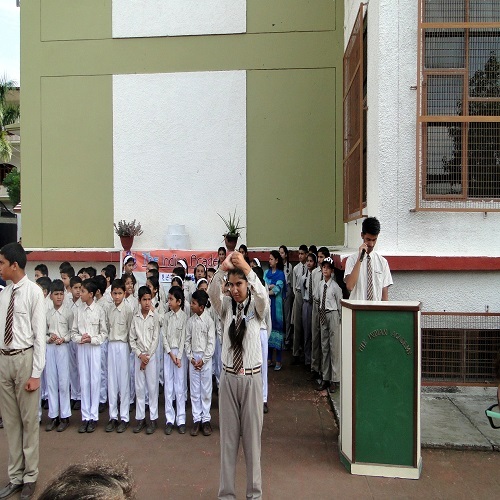 This was celebrated as ‘Hand Wash Day.’ The prefects showed a demonstration of how to wash hands properly before and after the meals. 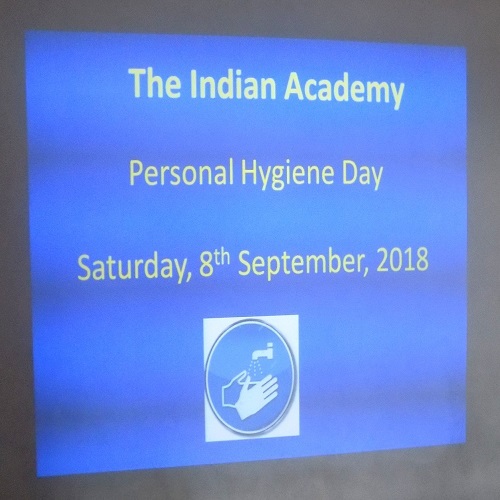 On ‘Personal Hygiene Day’ 8th September a speech on maintaining personal hygiene was delivered by the principal Mrs Neelam Sharma. 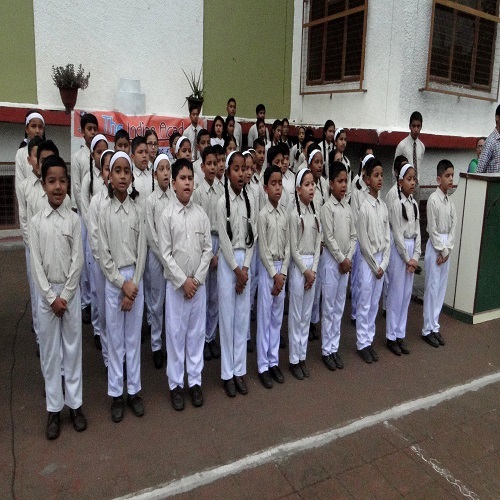 Later that day, students of class 4th were shown an audio-visual programme on personal hygiene and the students learnt much from the same. 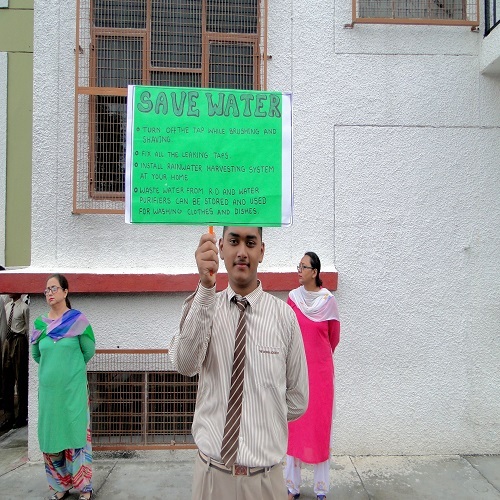 The students of class 11th delivered a speech along with a demonstration of placards highlighting the hygienic way of using toilets and drinking water facilities. 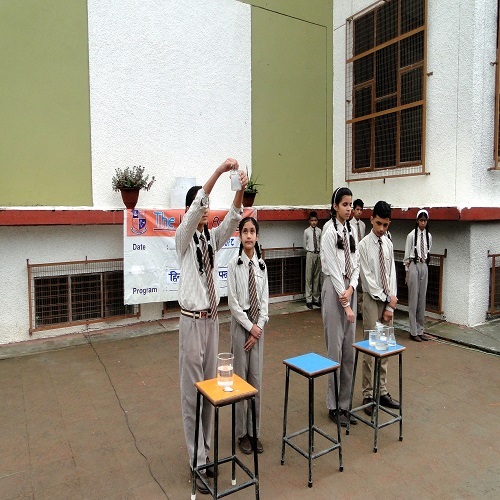 They explained to the students the importance of water and notified the students to check the wastage of water and how water from the hand washing unit can be channelized towards the garden. 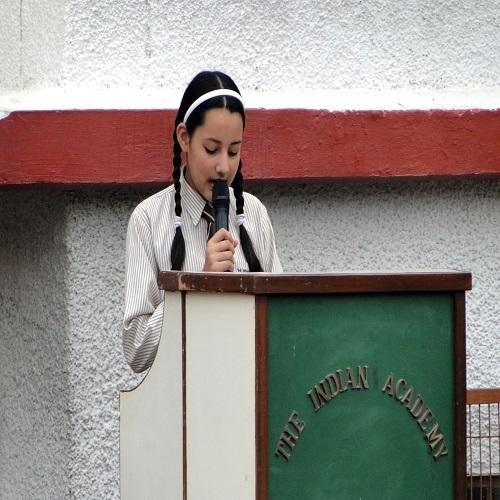 It was a great effort on the part of these students to take the initiative for such a great cause. 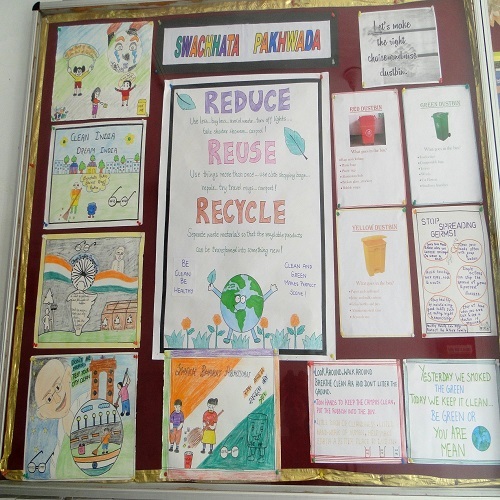 The students learnt how to make artefacts like artistic dustbins, wall pieces etc. 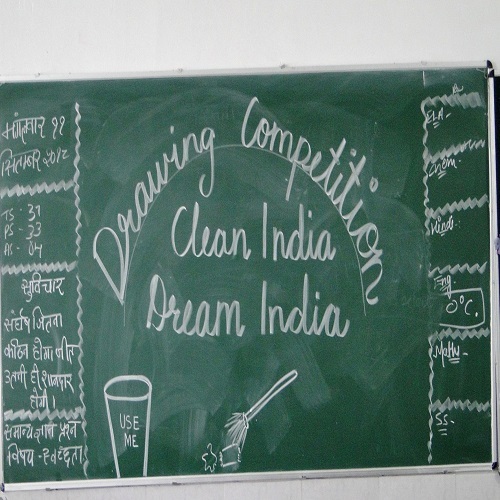 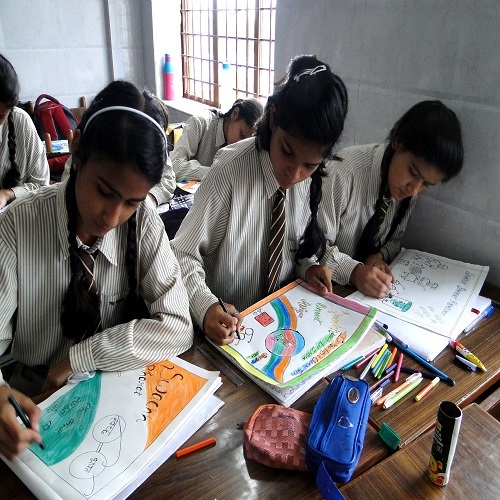 They also made drawings, cartoons and slogans related to Swachhata activities in their craft period. 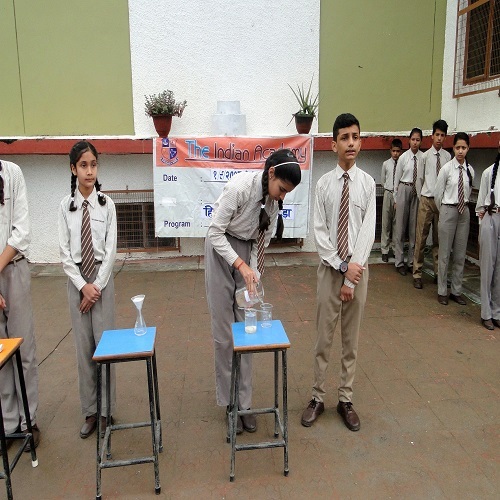 The students were apprised about water-borne diseases through a speech and a demonstration on cleaning of water through natural means like filters, alum, bleaching powder was shown during the assembly time. 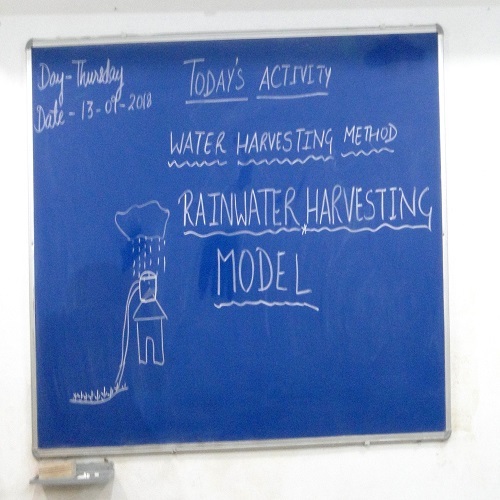 The students were shown a simple water harvesting structure by the students of class 10. 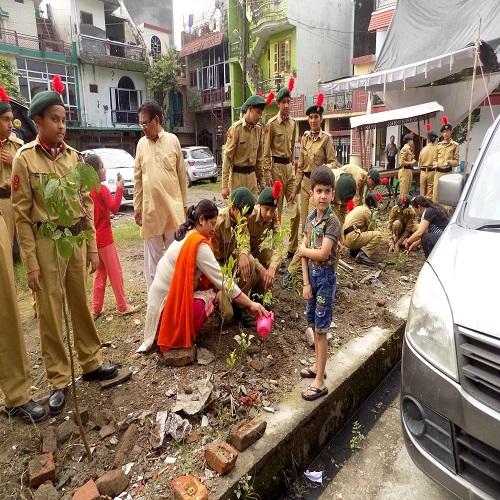 It was simple and a unique way of harvesting water and contributing towards Swachhata Abhiyan. 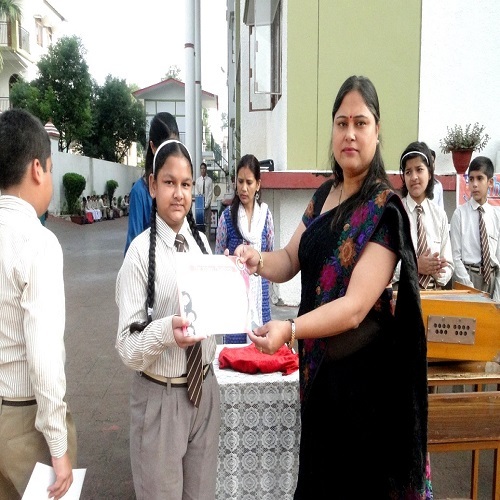 They were felicitated by the principal for their excellent performance. 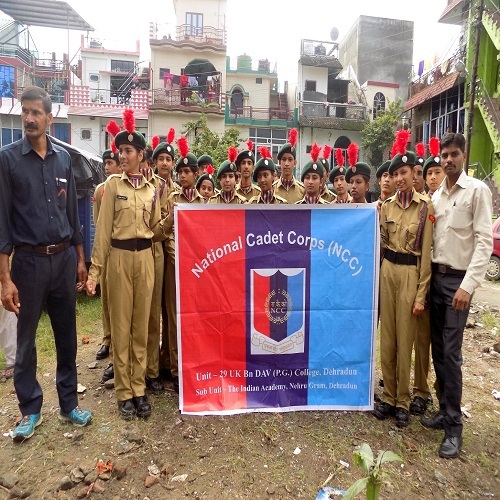 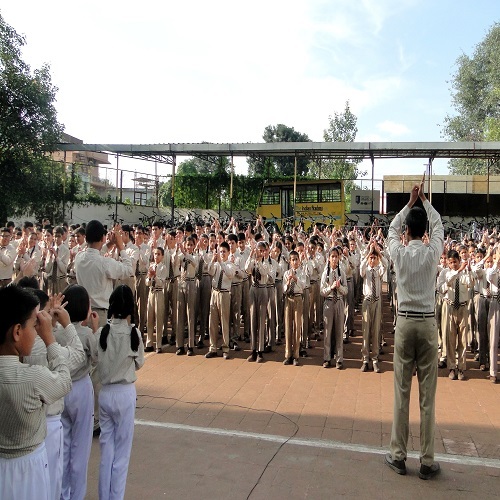 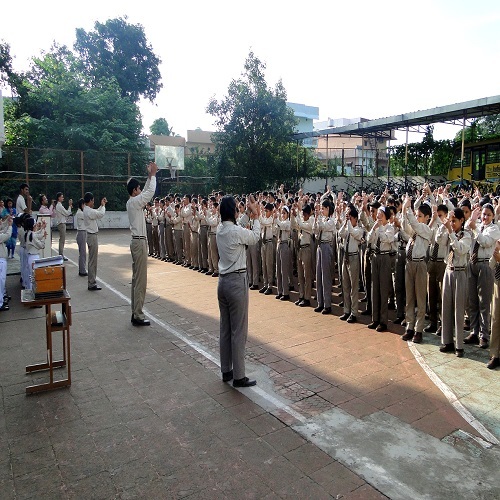 The activities conducted during Swachhata Pakhwada gave a unique experience to all the students of The Indian Academy. 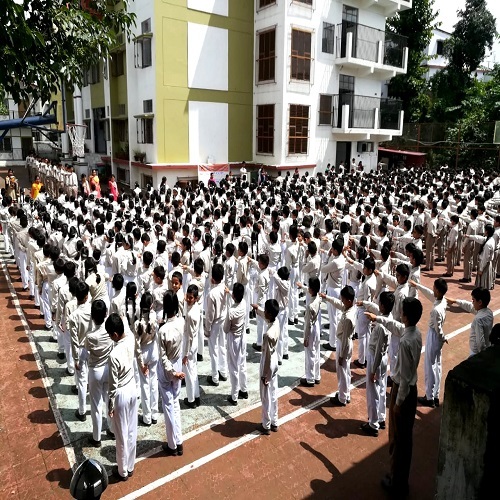 The activities conducted in the school premises would definitely help to create mass awareness regarding the accomplishment of Gandhiji’s dream of “Clean India”.